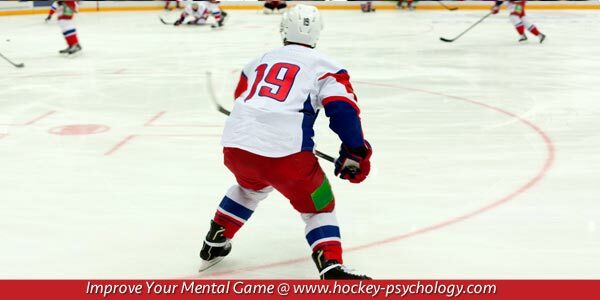 The ability to focus is a critical mental skill for all hockey players. The mental skill of blocking out competing thoughts battling for your attention is a common characteristic of great athletes. 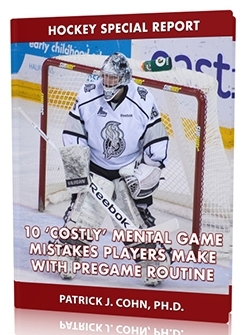 So, if you want to perform optimally, you need to be “in the game” mentally… focused in the present moment. There is a three-way competition in your mind between the past, the future, and the present. The past is attempting to remind you of all the mistakes you have made, the missed opportunities of previous failed attempts. The future is pulling your attention to all the ‘what ifs’… “What if I lose?”… “What if I mess up this routine?”… “What if I make an error?”… “What if I miss this shot?”… The past and future are the proverbial “devil on your shoulder” trying to tempt you from focusing on the right thing. The present is where you are merely playing the game instinctively just like you trained yourself to do. Focusing on the present is a matter of trusting your abilities and preparation. Competing in the present is like playing in a bubble where there are still distractions, but they are not invited into that protective zone. Focusing on the present frees up your mind to see the field of play clearly and perform your best. Let’s use a music example: Think of listening to music through your headphones. You are oblivious to outside noise totally immersed in enjoying the moment… maybe you are belting out the lyrics or dancing to the beat… Either way, nothing else but that song exists at that moment of time. 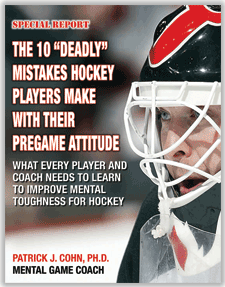 Now imagine being in the locker room where your teammates are blasting three different songs at the same time… It is chaotic; it is noise, it’s distracting… Your focus is divided and your attention moves back and forth between songs… You may even feel angry or annoyed by the rudeness of your teammates. By tuning into the present and creating that laser focus, you will perform at your peak for longer periods of time. Chicago Blackhawk right winger Patrick Kane is a five-time NHL All-Star who plays with a laser focus. Kane set a new record for longest point streak by an American-born player and the franchise record by scoring at least one point in 26 consecutive games including 16 goals and 24 assists. Kane was hounded by the media asking questions about his play during the streak. Imagine increased number of potential distractions Kane had to face during the streak: trying to get a point each game, the record, not letting down his team, trying to win games, etc. After the streak was over, Kane experienced a sense of relief. The lesson to be learned from Kane is that there will always be distractions… It is a constant mental battle. When you improve your focus, you will be better equipped to manage distractions and the result will be improved and you will have a more consistent play. Review past performances and recognize when and why you lose focus. List the three things that distract you the most. Create a trigger phrase “Not now, Move on!” that will get you back on track when those distractions start creeping in your mind. If you commit to improving your focus, you will be on your way to becoming the athlete you always wanted to be. 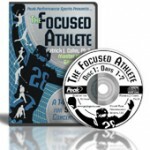 Our “Focused Athlete” CD and Workbook Program is 14 Days of Proven Concentration Boosting Techniques Guaranteed To Drastically Help You Stay Focused, Improve Sports Performance, And Limit Distractions In Games!